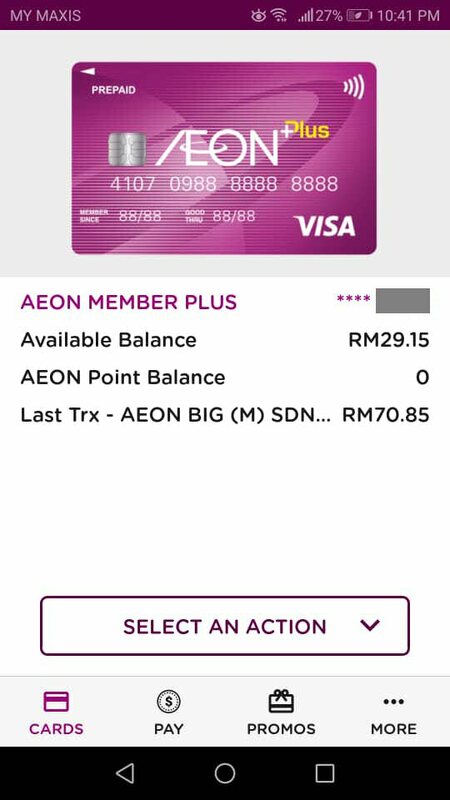 AEON Wallet Malaysia: How to sign-up, enable & top-up card balance? 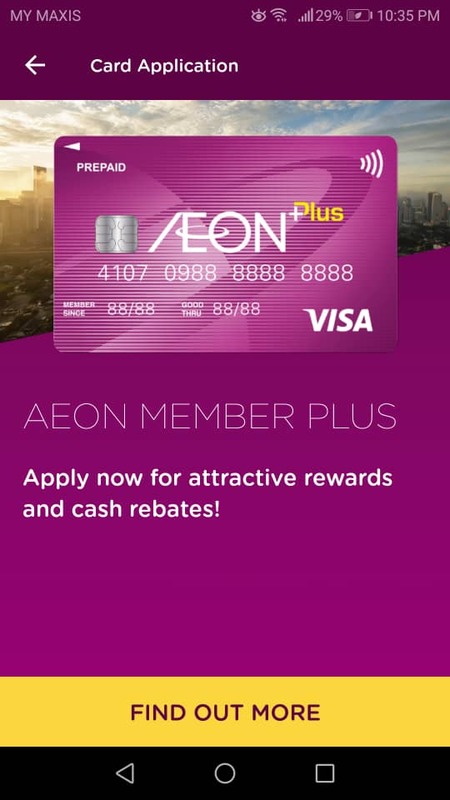 Can AEON Credit Service tap on the 6 million combined members under the AEON group to grow AEON Wallet (AEON Member Plus Visa Card)? Just when you think that we have too many e-wallets in the market, AEON has launched its own e-wallet which is running on the card scheme network. 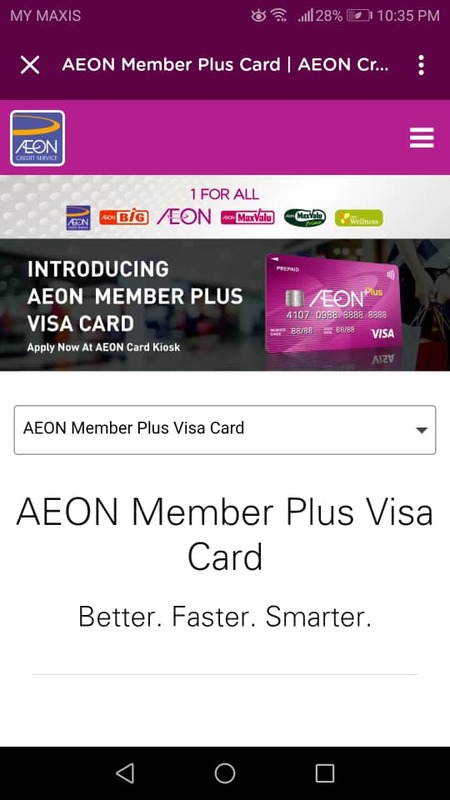 To be exact, AEON Credit Service is releasing a new card - AEON Member Plus Visa Card. The AEON Wallet launched is technically, just a mobile app to store the prepaid card. So, AEON Wallet is a "card-based" e-wallet, not "network-based" e-wallets like WeChat Pay, Boost which are able to function without a prepaid card via the Visa or Mastercard network. 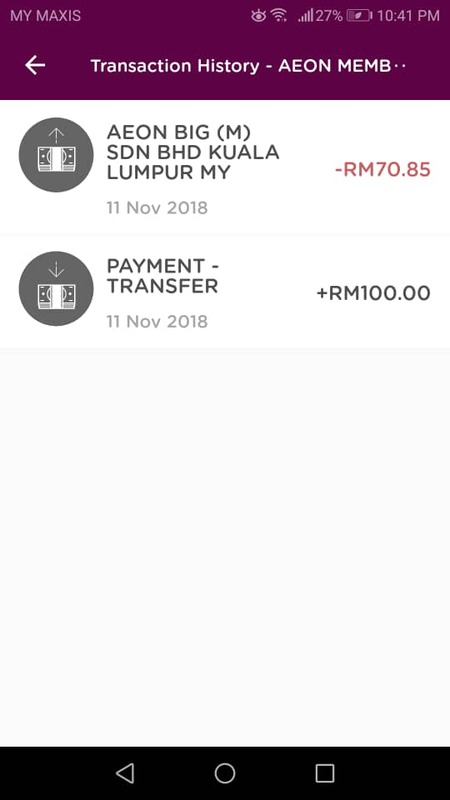 For those who aren't familiar with "card-based" e-wallet, you can't just register via the app and start using it. You need to actually apply for a prepaid Visa or Mastercard in order to use the e-wallet. 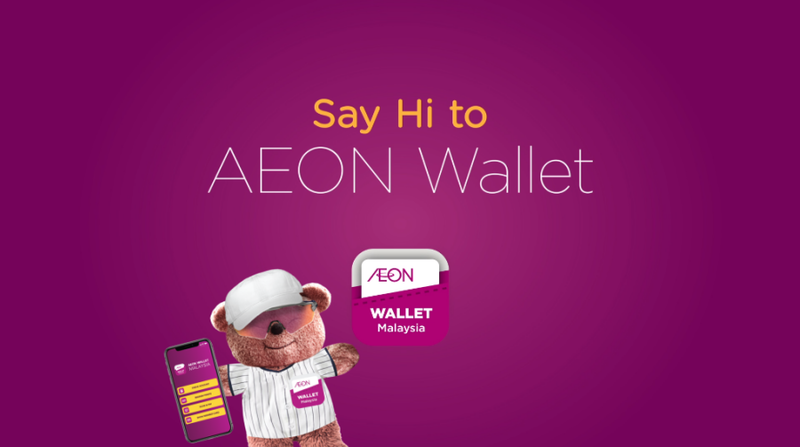 This offers great convenience which means you no longer need to carry a separate AEON member and AEON BiG member card in your wallet anymore! 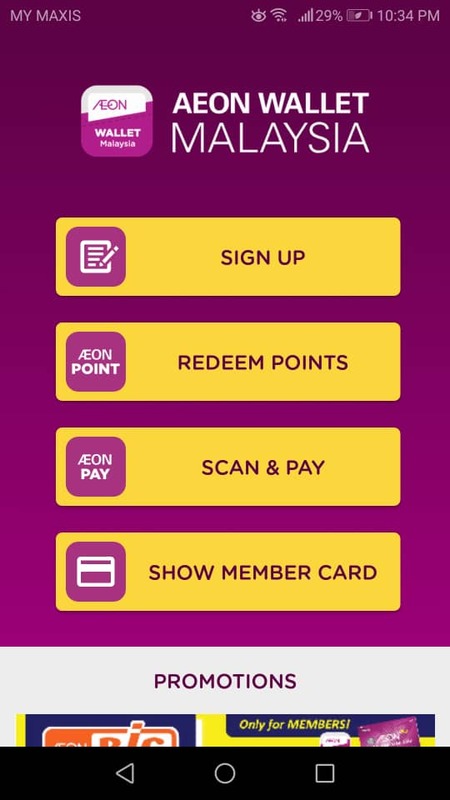 Furthermore, you can collect double AEON points when you tap and pay using AEON Wallet or the prepaid card itself (which is more likely to be the preferred payment mode instead of the app). In a sentence, AEON Wallet is a prepaid card plus loyalty card (system) linked together in a mobile app. Read on to find out how to sign-up, enable and top-up AEON Wallet, scroll to the end as we wrap-up with 5 fees you need to know about AEON Wallet. You can search for "AEON Wallet" on Google Play or App Store and install the app. Once it is installed, fire up the app and home screen like above will be shown. Tap on "Sign Up" to proceed. 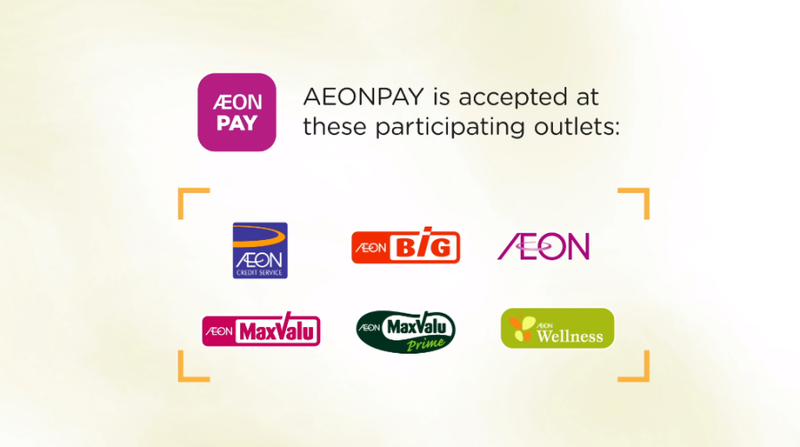 Are you an existing AEON Credit Service cardholder? The AEON Wallet app will prompt you: Are you an existing ACS cardholder? Don't be confused with "ACS", which means AEON Credit Service, the card issuer for AEON Member Plus Card. Yes, it is a prepaid Visa card required before you can use AEON Wallet. Click "Yes" if you have already registered for the card, and jump straight to the "How to sign-up for AEON Wallet?" section. Click "No" if you haven't got the card yet, and go on to the next section. If you select "No" earlier, the screen above will be prompted. 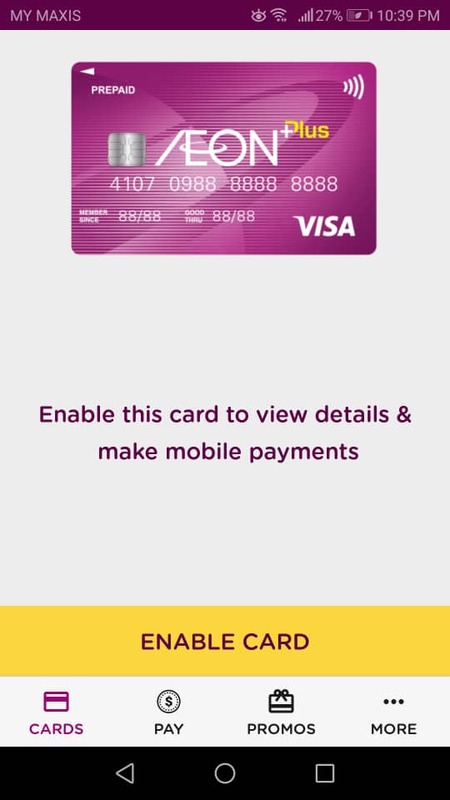 Tap on "Find Out More", and the app will link to the screen below, the information is actually loaded from the AEON Member Plus Card website. 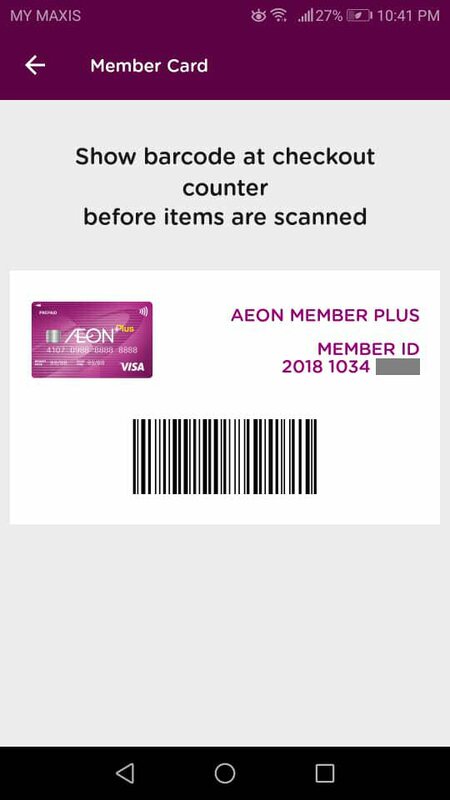 How to Apply for AEON Member Plus Card? 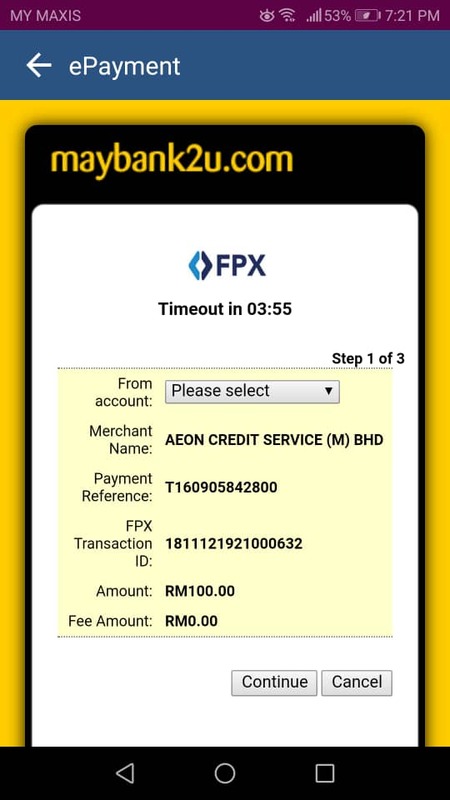 At the moment, you can't apply for AEON Member Plus Card online, the application can only be done offline at AEON card kiosks. Minimum age: Applicant MUST be a minimum 15 years of age. For applicants between 15-17 years of age, parent/guardian consent MUST be obtained. Documents Required: Copy of NRIC both sides for Malaysian, only Japanese and Singaporean are accepted for Non-Malaysian. Take note that you will be given a physical prepaid card too upon successful registration. How to sign-up for AEON Wallet? 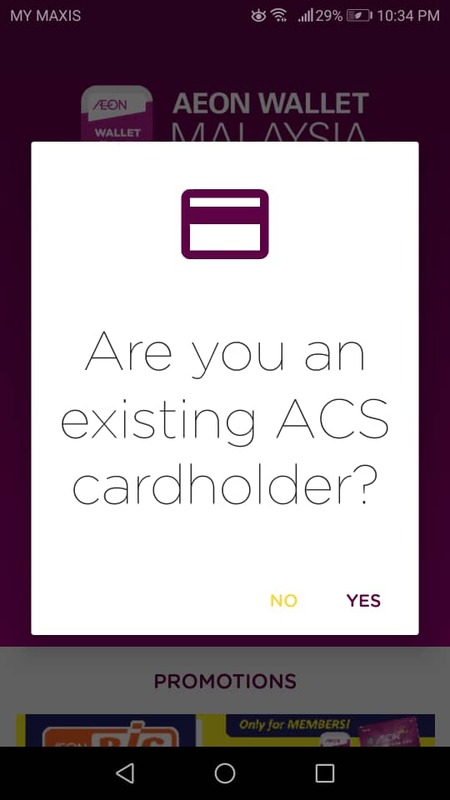 If you select "Yes" in the "Are you an existing ACS cardholder?" step earlier, the screen above will be prompted. A reminder again, you need to have the prepaid card ready before proceeding here. 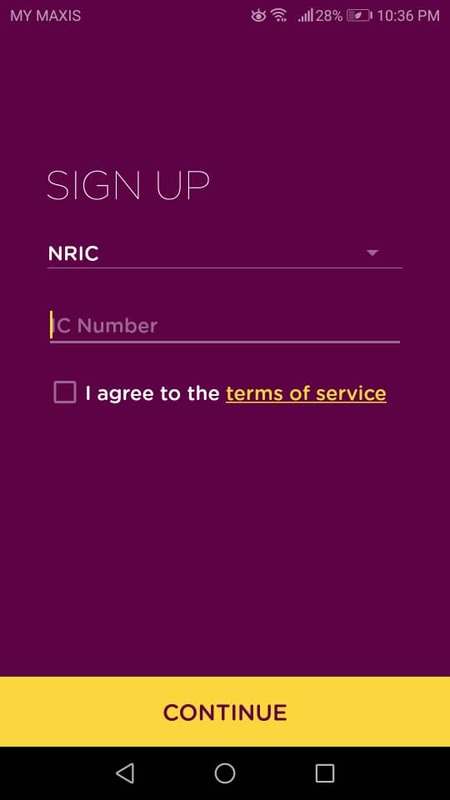 Enter your NRIC or personal identification number and tap "Continue". 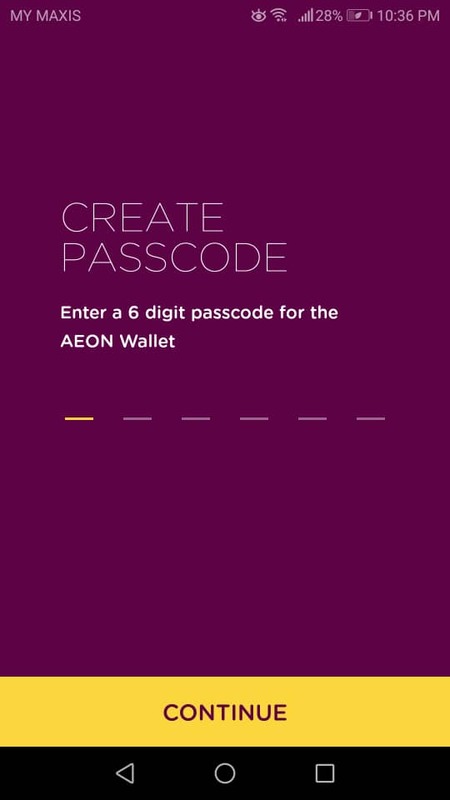 Create a 6 digits passcode for the AEON Wallet. Not too sure whether this has to be the same with the 6-digits you entered during the card application, which will be used for your card transaction verification. Nevertheless, this passcode will be required the next time you launch the AEON Wallet. 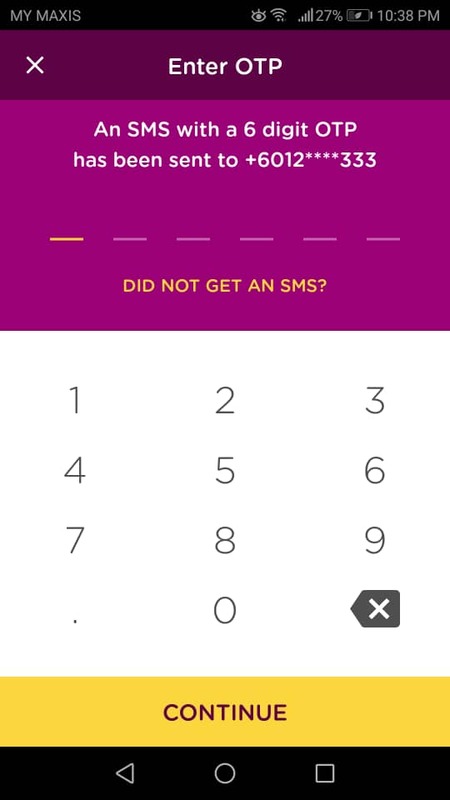 An SMS with a 6-digits OTP will be sent to the mobile number you registered earlier during the card application. 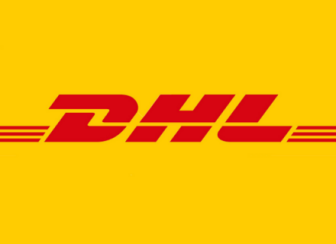 Enter the 6-digits OTP and continue. You have now successfully sign-up for AEON Wallet, but you are not done yet. Continue reading as you need to enable the AEON Card first before using AEON Wallet. 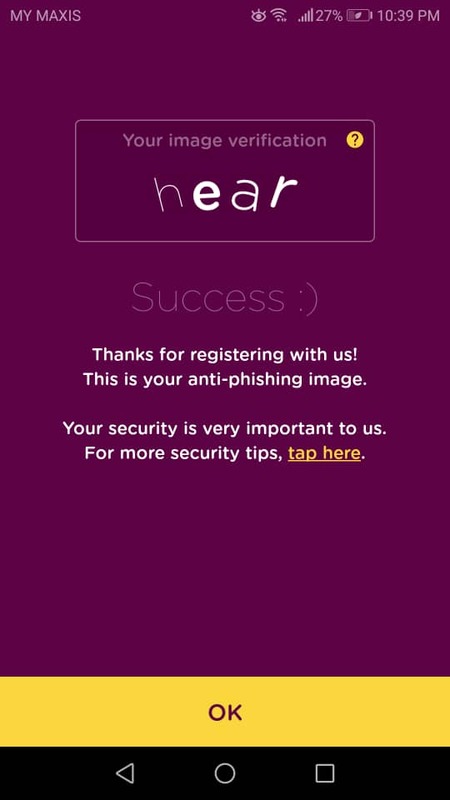 p/s: The anti-phishing image is a bit odd though, as it cannot be customized to your own preference. How to enable AEON Card? Once you have signed-up for AEON Wallet, you will be prompted the Cards home screen like above. 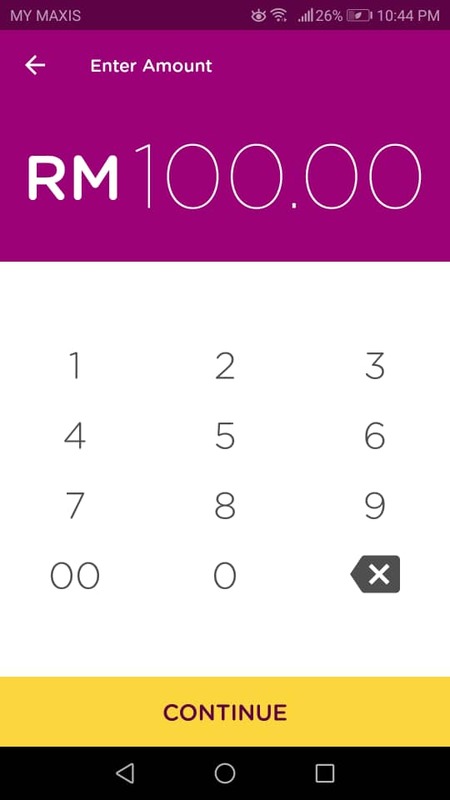 You will need to tap on "Enable Card" to view details and make mobile payments. Remember the physical prepaid card given to you upon successful registration? Refer to the back of the card on the 3 digits number. Enter the CVV2 / CVC2 number to proceed. Again, an SMS with a 6-digits OTP will be sent to the mobile number you registered earlier during the card application. Hooray! 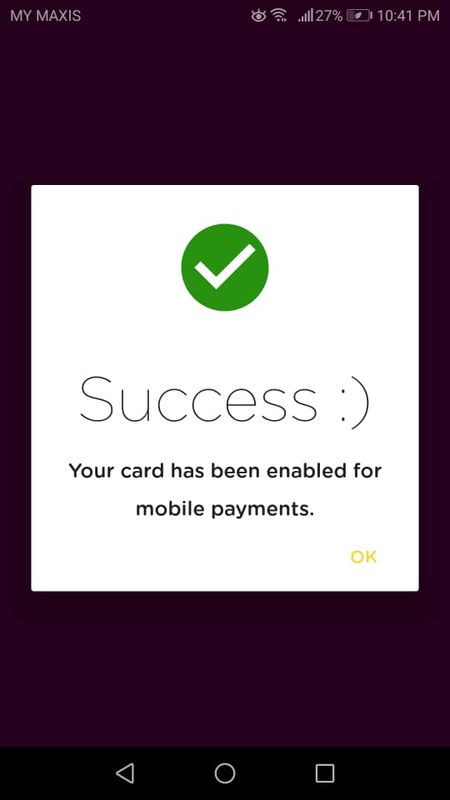 You have now successfully enabled your card for mobile payments. How to top-up AEON Wallet Card Balance? After your card is enabled, your Cards home screen will look like above. Your available balance for both the card and AEON Point will be shown. Tap on "Select an Action" to continue. You will be prompted with a menu like above, tap on "Top Up Card" to proceed. 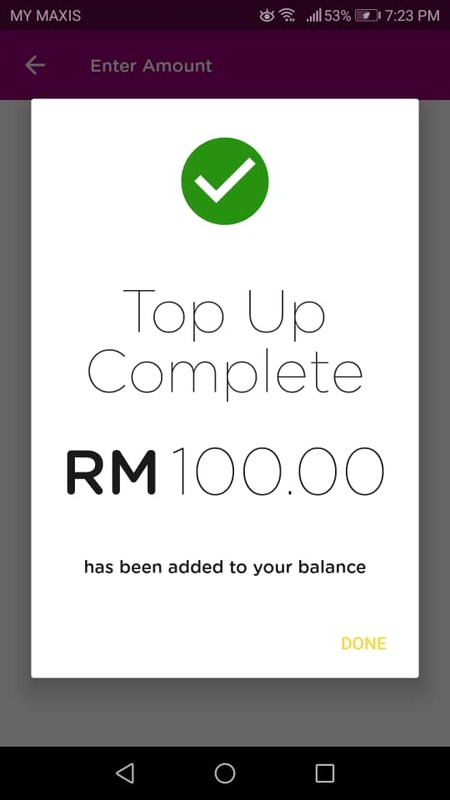 * The official top-up amount allowed is RM10,000, but only RM3,000 can pass through via the mobile app according to our test. The total wallet size allowed is up to RM10,000, or RM1,500 if you are between 15 to 17 years old. In our case, we are using Maybank to perform the top-up. 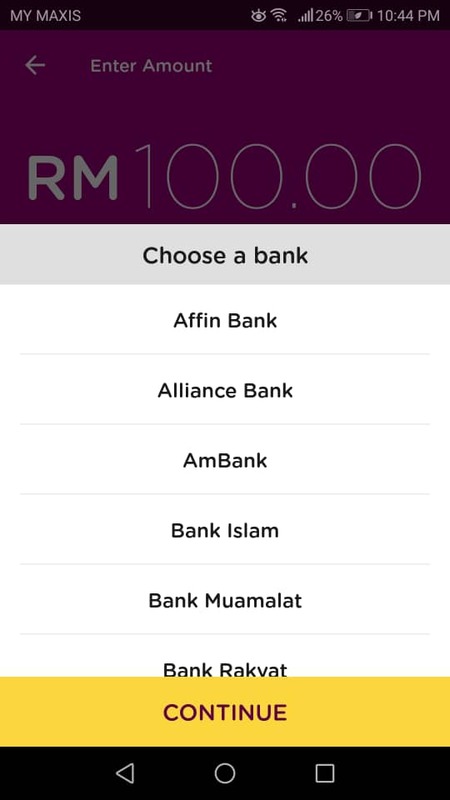 Login to the bank account you have selected earlier, Maybank's example is shown above. Choose your bank account (if you have multiple accounts) to perform the transfer. Follow the instructions of your bank to complete the transaction. In Maybank's case, the last button to tap on is "Return to FPX". Yay! You have successfully top-up your AEON Wallet balance! The beauty of this AEON Wallet app is you no longer need to bring your AEON cards along when you go shopping. Just select "Show Member Card" from the menu and barcode like above will be displayed. Show barcode at checkout counter before items are scanned to log your loyalty points. Select "View Transactions" from the menu, and you can check all your transaction history including top-up and spendings. #1. Joining fee is waived. #2. Annual fee of RM12. #4. The maximum top-up amount for customers above 18 years of age and below 18 years of age is RM10,000 and RM1,500 respectively. 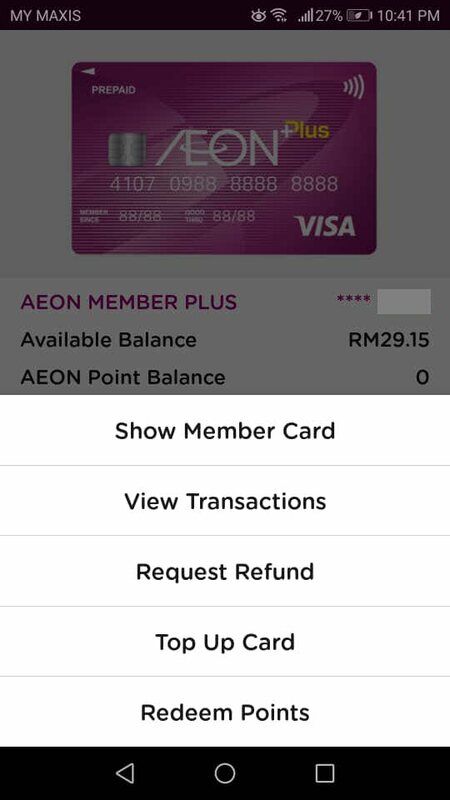 ecInsider: AEON Wallet Malaysia: How to sign-up, enable & top-up card balance?